Eighty-nine years is still a long time for anyone, but especially a touring musician. But then many bluesmen have reached their professional peaks long after any “normal” retirement age. Maybe there’s something to be said for music keeping you young. Anyway, I wouldn’t say I “grew up listening to B.B. King,” but I always knew he was there. 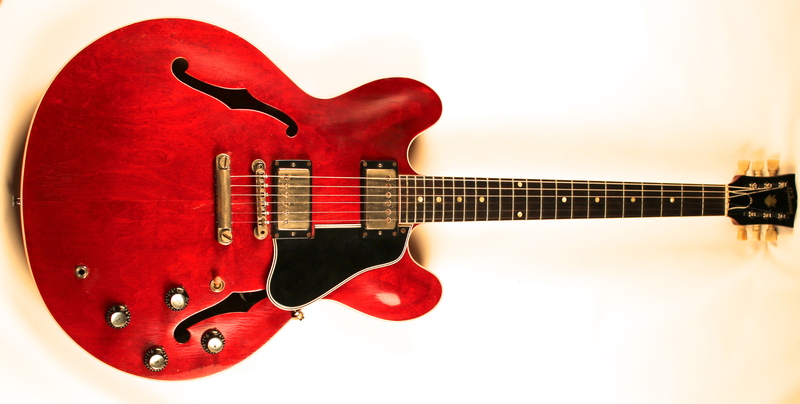 I learned to play guitar on a Gibson ES 335, which my dad called “just like Lucille.” It really wasn’t. It was a lot more like Chuck Berry’s preferred axe. But my dad had some history with Chuck Berry dating back to his talent agent days in the 1950s. Chuck was one of those people — like Burl Ives or Perez Prado or Anita O’Day — who would make my dad’s teeth grind whenever he appeared on TV or radio. Something about a missed booking or an unpaid commission or unsettled travel accounts. Who knew? But in my house, B.B. King was always viewed with indulgence and affection, even. He had a tone. He had eloquence. Basically, if you heard “Thrill is Gone” you heard what B.B. King could do, and he did it on every record. For well over a half-century. That was good enough to make a career, because it was basically splendid. There was taste and grace in it, without a single note misplaced. He got a hell of a lot of expression out of the five notes of that scale — possibly more than any other player. B.B. King toured constantly, it seemed. So many people probably either saw him in concert or encountered him at some point or another. 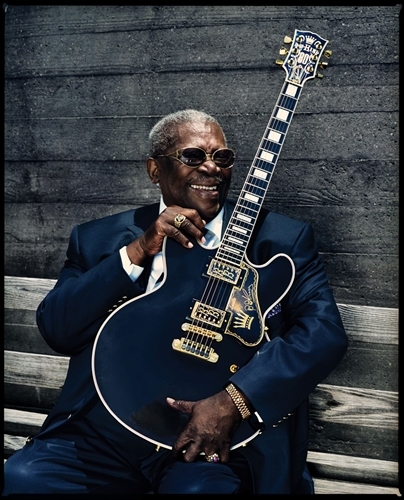 There are a lot of BB King stories out there. Hey, I have one, too. When I came back from my Spanish expedition in May of 1992, I arrived in Rome at the Stazione Termini train station. The bus drivers were on strike that day, so I had to walk to the Ostiense station where I could get a train that would take me to Leonardo Da Vinci to catch a flight back to New York. The trip home was already proving an interesting challenge. When I finally got to the airport, I bedded down for the night on a bench, my bookbag with most of my belongings under my head. Sometime in the middle of the night, I felt a nudge on my elbow. I opened my eyes to see up the nose of an Italian policeman. He was holding an MP5 on me. He made a gesture with his hand (like Italians, even ones holding MP5’s, frequently do). “Passaporte!” he demanded. I reached into my breast pocket — very carefully — and showed him that I was one of the good guys. Uh-huh. Right. It later occurred to me that I was in the same waiting area where some suspiciously-backed terrorists had machine-gunned a few dozen people no more than seven years before. So I guess ol’ Capitano had his reasons. Anyway, I think I fell back to sleep. The next morning — still a couple hours from boarding the Alitalia flight back to the US — I decided to freshen up. I walked to the restroom. On my way there, my path was crossed by several smiling, extremely well-dressed, and heavy black men carrying instruments in travel bags. And one of them was B.B. King. While I was freshening up in the airport restroom, I looked up to realize that several of those smiling, extremely well-dressed, and heavy black men were on either side of me. They’d stripped down and were cleaning up whatever they could in advance of their flight to the next gig. They casually chattered back and forth as one might expect blues musicians to do — women they knew or at least saw in the audience the night before, restaurants and sights to see at the next stop, razzes about missed cues and forgotten licks, and the occasional sung lyric. And at that time, I realized that I had a story to share. And I knew it would seem more poigniant at one time more than any other. Farewell, BB. And thanks for providing part of the soundtrack of my life — in a way you probably never knew.